NEW! - Push Notifications for Mobile Devices! Check out the new notification system you can push to your phones and tablets! Both Android and Apple products! Check out this awesome new feature! 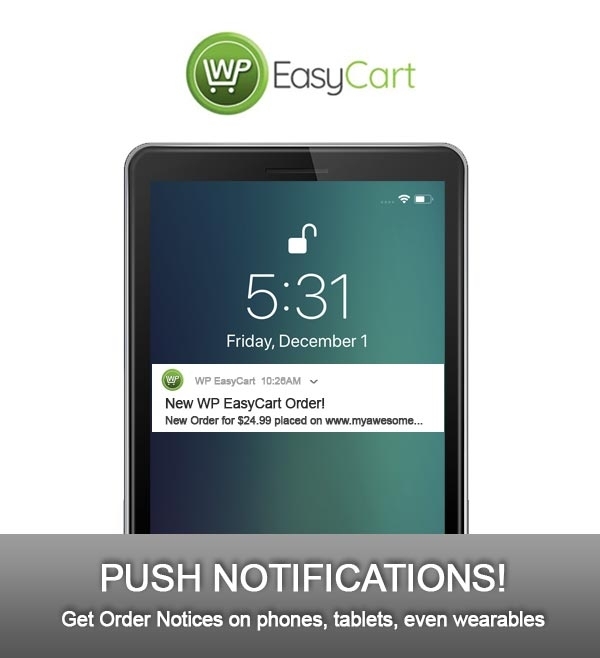 Now you can get push notifications of orders to your Phones & Tablets! Works on iOS and Android devices with our Premium Edition users! 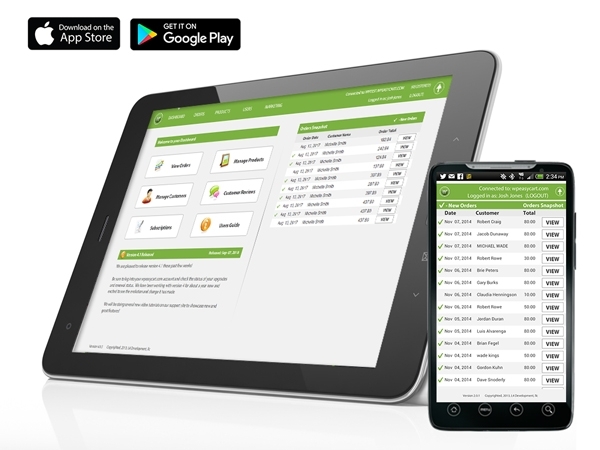 All you need is a Premium Edition license and you can already access our phone and tablet apps directly from iTunes and Google Play market. CHECK OUT THESE PREMIUM BENEFITS! All you need to get push notifications is be a Premium Edition user and you can already access our apps on the iTunes and Play store. Once you download and install the app, login to your website and get constant order notifications as they come across to you. What if I am a PRO user and want to upgrade to Premium? Simple, just log into www.wpeasycart.com/my-account and upgrade/renew your license anytime. This will unlock your ability to use the apps. Can I enable/disable the Push Notifications on my device? Yes, you can go to our Settings -> Additional Settings and enable push notifications. Will push notifications come across my wearable watch? Yes, if you have notifications turned on your smart wearable devices, you can also receive instant alerts to orders from them as well! ARE YOU A FREE EDITION USER? If you run the FREE edition and want to get our apps and push notification system, you can easily try our PRO trial now with One-Click! 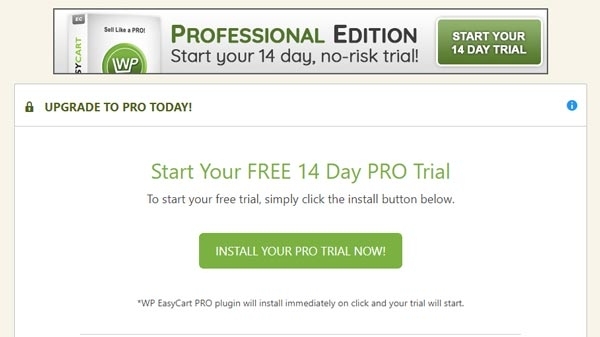 Just visit any of our 14 day trial banners and now you can instantly install, activate, and try our PRO edition without ever leaving your WordPress admin! 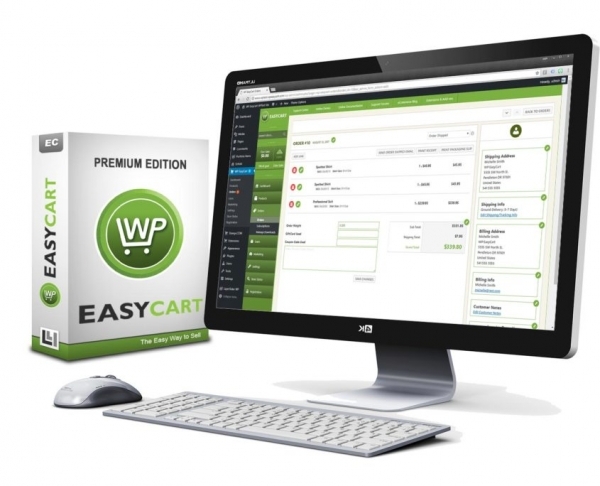 If you like what you see, you can upgrade anytime by going to the WP EasyCart -> Registration. Follow the link to go Pro/Premium and it will easily transform your FREE to PAID shopping cart! Be sure to upgrade to the latest plugin to see all the additional benefits of automatic trial and push notification system! READY TO GO PREMIUM WITH PUSH NOTIFICATIONS? Visit our pricing page here to compare all of our editions, and see how easy eCommerce can be!